I thought narcissism meant you loved yourself. Then someone told me there is a flip side to it, it’s actually drearier than self-love: It’s unrequited self-love. So you’re six years old, you’re reading ‘Snow White and the Seven Dwarves,’ and it becomes rapidly obvious that there are only two kinds of men in the world: dwarves and Prince Charmings. And the odds are seven to one against your finding the prince. 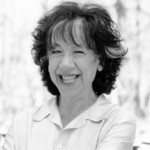 Emily Levine was born in Nashville, Tennessee, USA. She is an American humorist, writer, comedian, radio Commentator, and public speaker who lectures on science and the human condition. She graduated from Harvard. She taught autistic children and joined an improvisational comedy group called The New York City Stickball Team. She became a television writer, working on shows such as Designing Women, Love and War and Dangerous Minds. She is a radio commentator for WNYC in New York.